The sad thing about going back and watching cartoons you enjoyed as a kid is that they’re never quite the way you remember them. This twisted bit of nostalgia comes to you courtesy of Mighty Mouse: The New Adventures – Episode 17: “Snow White & the Motor City Dwarfs”/”Don’t Touch that Dial” (October 8, 1988). When it comes to dating in the 21st century…there are no rules. 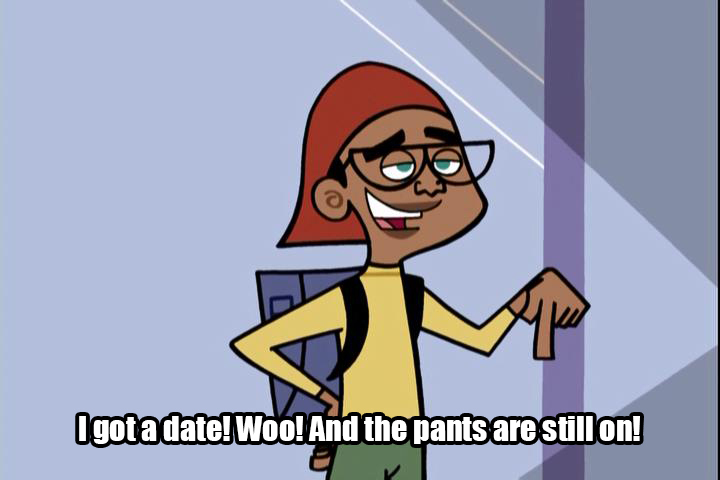 This glimpse into Tucker Foley‘s dating life has been brought to you by Danny Phantom – Episode 2: Parental Bonding (April 9, 2004). There’re some adventures that’re best not taken for the sake of common decency. This narrowly-averted censorship moment courtesy of Adventure Time – Episode 122: Princess Potluck (April 22, 2013). There’s nothing like a Victorian era burlesque show. Featuring anthropomorphic mice. In a G-rated Disney movie. 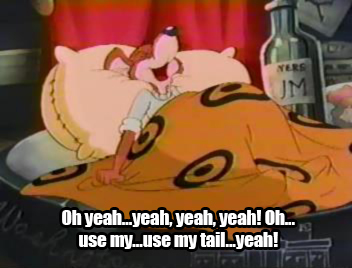 This…thought-provoking sequence has been brought to you by The Great Mouse Detective (1986). 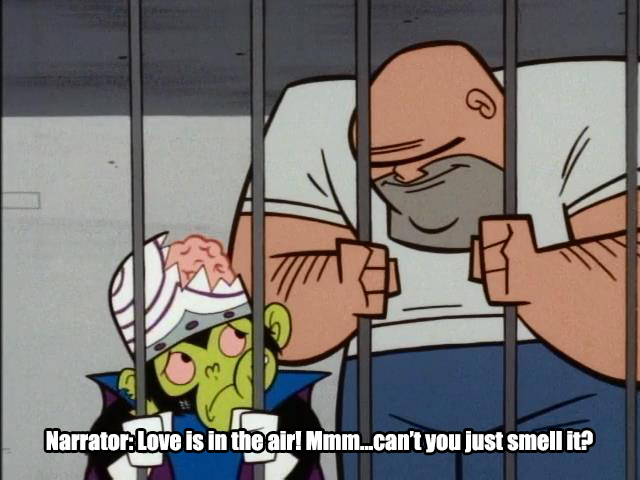 Mojo Jojo better be careful with the soap. This uncomfortable moment has been brought to you by The Powerpuff Girls – Episode 22: Imaginary Friend/Cootie Gras (March 17, 2000). Don’t you hate overbearing bosses that interfere with office romances? Destro, that’s the lamest excuse I’ve ever heard. You can thank G.I. Joe: A Real American Hero – Episode 15: The Pyramid of Darkness – Part 5: Knotting Cobra’s Coils (September 20, 1985) for ruining the mood today. Ever wonder what rats and mice dream of? This insight into the sleeping minds of rodentia has been brought to you by Capitol Critters – Episode 1: Max Goes to Washington (January 28, 1992). It’s always nice to know where you came from. Too much information. TOO MUCH INFORMATION. This startling revelation has been brought to you by The Powerpuff Girls – Episode 44: Super Friends (May 12, 2001).